Posted by Noah Poser on November 7, 2018 in Football, Sports. Let’s throw it back. The year is 2015 and the Ferris football team just wrapped up an undefeated regular season and came into the playoffs as one of the most feared teams in the nation. That team had real aspirations of bringing home the National Championship trophy to Big Rapids. That story did not have a happy ending, however, as the team lost to rival Grand Valley State University (GVSU) in the second round of the playoffs. There are a lot of similarities that can be drawn between the 2015 team and the Ferris football team of 2018, which currently sits at 10-0. However, there are also a lot of encouraging differences that could lead this team to capturing that elusive National Title that the 2015 team could not. The rst difference is how this team is built compared to its counterpart from three years back. The 2015 roster had seven players that would spend time with an NFL team. That is practically unheard of for a Division II football team. They relied on that superstar talent to win games, but when that superstar talent had a poor performance in the playoff loss to GVSU, they lost. 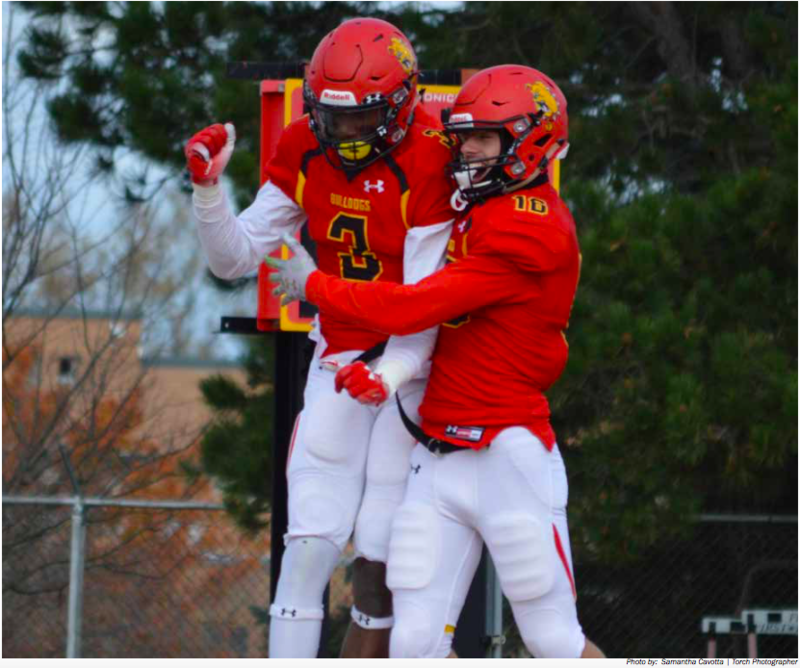 “There was a lot more individual talent on that team, but this year, we all play together and don’t rely on a superstar to allow us to win,” Ferris sophomore linebacker Sam Heyboer said. On this team, there is more balance, and what they lack in true superstars, they make up for with solid all-around team play in all three phases of the game. This, as stated by Ferris offensive coordinator Steve Casula, boils down to the efforts of one man. “We’re lucky enough to have a group of kids that love football and love each other, and that’s all been built by our head coach, in recruiting the right kind of players and picking the right kind of people and making this an environment where our players have fun and want to be here,” Casula said. Tony Annese was the coach back in 2015 and has been successful in preaching mental toughness. It seems that this year’s team can focus on the present while also having their sights set on the National Title in Kansas City, Missouri, Saturday, Dec. 15. Their motto in the locker room, started by Ferris senior offensive lineman Devon Johnson, is to “win every quarter” and not just every game. This mentality is to make sure that they keep the same amount of focus no matter the opponent and no matter where they are playing. The football season is a long one, and as the 2015 team showed us, it’s very easy to go from the top of the world to the offseason in the blink of an eye. But this team has its eyes focused on grinding through the rest of this season and is taking nothing for granted. However, they still do have their eyes on the prize as well, even if it isn’t their number one priority now. Just take it from Campbell on how he thinks this season will end. “I see us hoisting that trophy,” Campbell said.